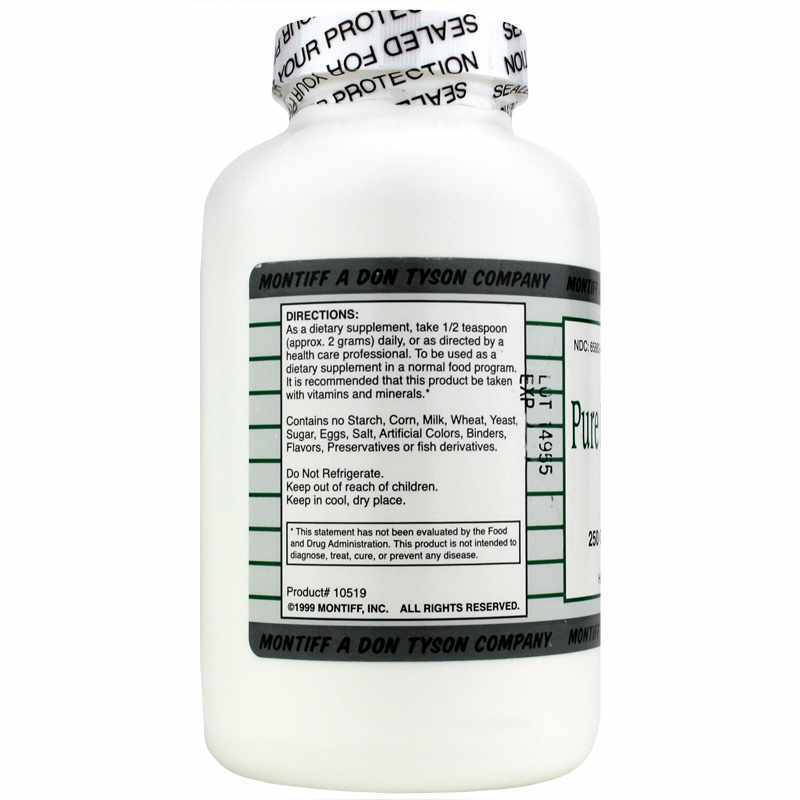 Glutamine is necessary for the function of immunocompetent cells, and provides support for enhancing the immunity of the intestinal mucosa. * It is the precursor to Glutathione, a powerful antioxidant with anticarcinogenic properties, which enhances the immune protective system of cells. Adults: As a dietary supplement, take 1/2 teaspoon (approx. 2 grams) daily or as recommended by a healthcare professional. 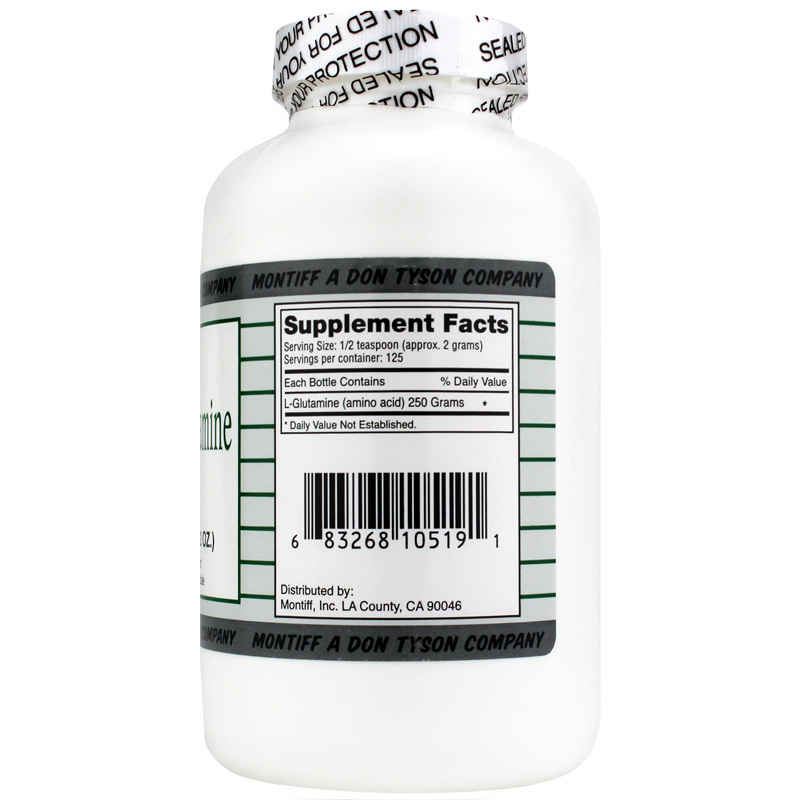 It is recommended that this product be taken with vitamins and minerals. 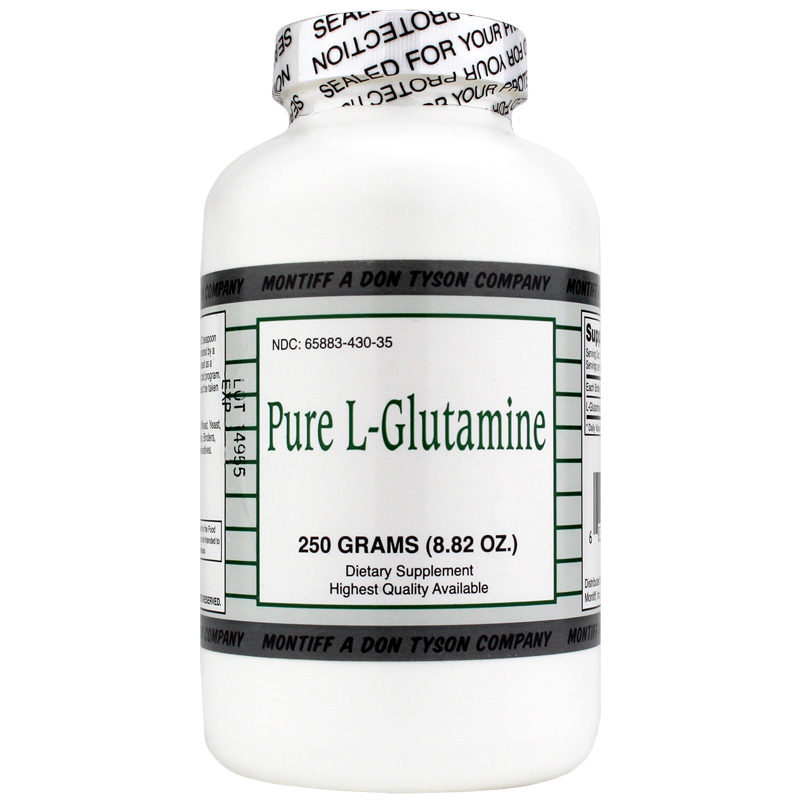 It may be taken with fruit juice or water, however, for fast assimilation to the muscle tissue and brain; it is recommended that the capsule is opened and the glutamine taken sublingually (under the tongue). The exceptions are alcohol addiction or gastro-intestinal support, when the capsules should be ingested with fluid. Do not take with milk products. Cynober, Luc (edited by), Amino Acid Metabolism and Therapy in Health & Nutritional Disease, 1995. Di Pasquale, M, Amino Acids and Proteins for the Athlete, the Anabolic Edge, 1997. Latifi, Rifat, M.D., Ami no Acids in Critical Care and Cancer, 1994. Souba, W., Glutamine: Physiology, Biochemistry, and Nutrition in Clinical Illness, 1992. Jungas R., Halperin, M., Brosnan, J, "Quant. Analy.of Amino Acid Oxidation and Rela. Gluconeogen. in Humans", Physiol. Review, 1992. Farr M, Kornbluth, et al: Research Award. "Glutamine Enhances Immunoregulation of Tumor Growth", J. Parent. Enteral. Nut., 1994. Byrne T, Persinger R., Young L, Zigler T, Wilmore D: "A New Treatment for Patients with Short-Bowel Syndrome, Growth Hormone Treatment, Glutamine, and a Modified Diet." Annals of Surgery, 1995. Newsholme E, Newsholme P et al: "A Role for Muscle in the Immune System and its Importance in Surgery, Trauma, Sepsis and Burns, Nutrition, 1988. Varnier M, Leese G, Thompson J, Rennie,M, :"Stim. Eff. of Glut. on Glycogen Accum. in Human Skeletal Muscle," Am. J. Physiol, 1995. I love this product, as someone who as problems with a sensitive stomach. I was quite pleased from the time I ordered to delivery, it took no time at all. Best manufacture of Amino Acids. I take this at the recommendation of my registered dietitian and find it to be a quality addition to my supplement regimine.